what’s turbidity got to do with it? Week 2 wetlab session started out dry — looking at the work-in-progress transmittance detectors that Robin and Sachiko evolved into making, after trying several DIY spectroscopy set ups. We started out with diffracting (using a stripped DVD) a white light source. We noted that it is going to be quite difficult to pull out a reading from a single wavelength DIY style. The spectruino (beta testing) does this very nicely, using a robust casing, and a linear CCD (think bar code reader) and a nice software to go with it. But still, the alignment of light going in was a crucial point that was hard to control. In the lab, we use measurements of optical density to determine the density of bacteria growing in solution. This is usually measured at 600 nm. 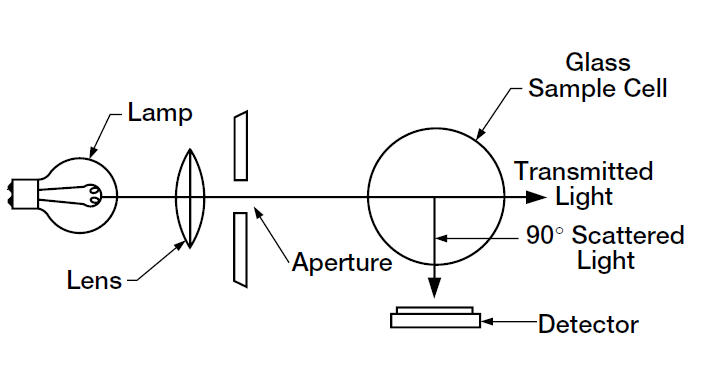 In effect, what we measure is the attenuation of light going through the sample, and not really a true “absorbance”. So we can just use a single wavelength bright LED to get the values. Then, we were freed of nice optics like the set-up we saw when we visited Dr. Valentin Simeonov‘s lab at EPFL. He and his colleagues were testing out different rigs for a first year course at ENAC (architecture, civil and environmental engineering). So finally, the current version has the 2 lenses on magnets (courtesy of Dr. Simeonov) in a Swiss chocolate tin can (Robin’s snack box) and after having tried photoresistors and photodiodes, Dr. Steven Weijs from ENAC pointed us towards using the TSL235 light to frequency converter. You can see the code Turbiditymeter contributed by Robin on our github. What’s turbidity got to do with E. coli detection? 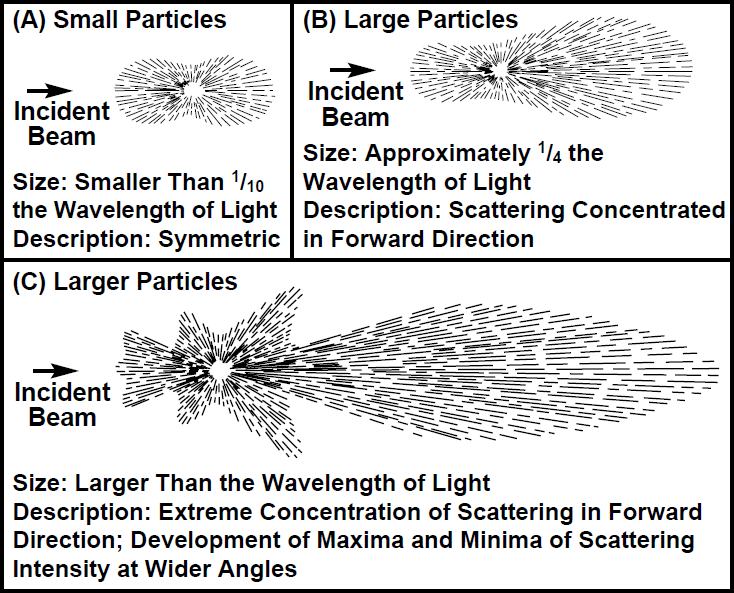 Bacteria, from a light scattering and fluid mechanics point of view, can be estimated as “particles” with an effective diameter (usually the longer length of the particle). Their sizes can span a large range, but mostly, individual bacteria fall in the range of approximately 0.5~5 micrometers. For example, E. coli are: ~0.5 x 5µm, (also as an electron micrograph here), not measuring their flagellae. The next step for us is to take measurements at 90 degrees to the incident light. This better measures turbidity, which is light scattered by the particles in solution. But no, this method will not distinguish between a bacteria, and a dirt particle, unless the size of the particle were very different. With an overnight culture of E. coli at hand, we went into the lab to check out the Villar-meter that looks at the transmitted light from a 633nm bright LED, a commercial turbidometer (~300 euro), and a spectrophotometer set at 600nm. As we mentioned, the Villar-meter needs more tweaking. The detection limit of the little field turbidity measurement suitcase complete with standards for turbidity units went down to 1,000 fold dilution. Unsurprisingly, the most reliable was the spectrophotometer, where 10-fold dilutions gave reasonable values. We tried counting the E. coli under the lab microscope on a hemocytometer, but this was not the way to go. Field testing this with dust around would make it nearly impossible for a good count. It was good focusing practice though. Routinely, bacteria enumeration is done by plating known dilutions. As we waited on our LB plates to be dry, this will have to continue another day.